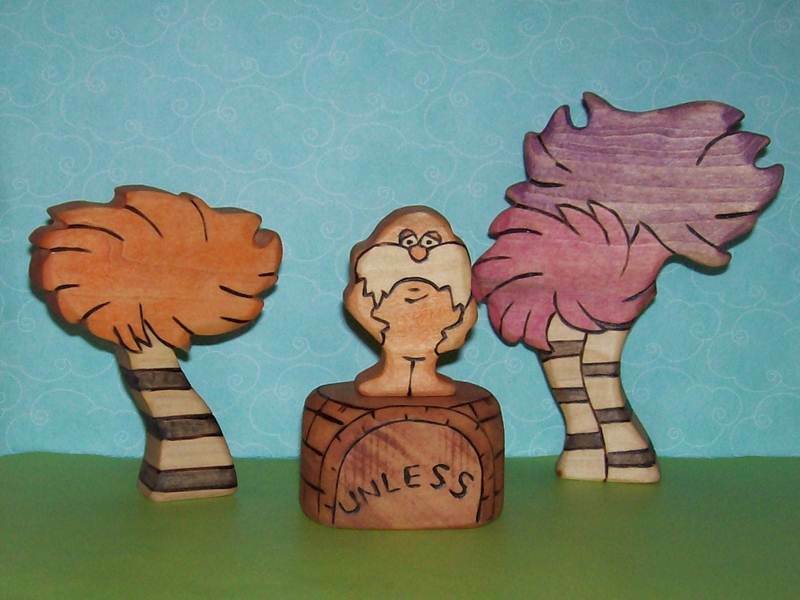 What better way to celebrate the upcoming release of The Lorax Movie, then with an adorable Lorax block set! As The Lorax Movie release gets closer, we’re sure to see a bunch of plastic, novelty Lorax items released by lame companies. However, you can do better. Avoid the hype toys and go with this beautiful Waldorf Inspired Wooden Lorax Toy Set instead, which is made with heirloom quality and to Waldorf specifications. These extra chunky pieces are safe for even young tots, and all edges are beveled for safety and sanded silky smooth. The designs are burned into place so they will never wear off, and each piece is given a wash of AP certified non-toxic plant gum based watercolors made in the US. Sealed with beeswax wood creme this set is sure to last forever and makes a perfect gift for any child.